Dr. Freddie Combs graduated from the University of Arizona College of Medicine and completed two residency programs, one at the Phoenix Baptist Hospital & Medical Center and the other at the University of Arizona. He is specialized in Radiology and board certified in Diagnostic Radiology. 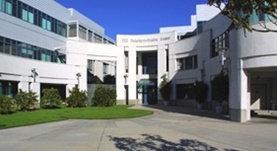 Dr. Combs has been in practice for more than 11 years and is affiliated with the University of California, Irvine Medical Center. During his career, he has also contributed to a clinical research publication. Dr. Freddie Combs has contributed to 1 publications. Best cases from the AFIP: Balamuthia mandrillaris amebic meningoencephalitis. Combs, F.J., Erly, W.K., Valentino, C.M., Rance, N.E. ; Radiographics. 2011-01-01.